Want to increase your vocabulary and have fun with words? Try a crossword puzzle. Crosswords tap into vocabulary knowledge, history, popular culture, and word play. Moreover, doing crossword puzzles improves memory and focus, contributing to overall “brain fitness.” For instance, one study in The New England Journal of Medicine reported that seniors who did crossword puzzles four days a week had a 47% lower risk of dementia than those who did them once a week. Who knows about ones who never did a puzzle. For today’s Amaze-ing Words Wednesday, I want to share resources for working and making crossword puzzles. USA Today gives a daily crossword in which you type in the letters as you go. There are two skill levels – master and regular. Regular puzzle solvers can see when answers are wrong by different colors of letters displayed and can ask for a hint if they get stuck. Most of the puzzles are themed, with a few words or phrases all related to a certain topic. 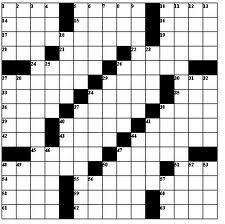 The Globe and Mail publishes Universal Crossword puzzles. These are a syndicated feature in newspapers. These are also themed, have regular and master skill levels, and involve entering the words online. By the way, there is a timer as well for how long it takes you to solve the puzzle. It’s nice to mark progress as you do more and more puzzles and decrease your solution time. The New York Times has some of the most challenging newspaper crosswords. If you want to complete their fresh puzzles, be ready to subscribe. However, you can get classic crosswords from their archive to solve online. For instance, the one that pulled up for me was from September 16, 2000. Word Lords has a daily crossword puzzle you can do online. This site allows you to save your puzzle if you need to take a break from it. It also has options of getting hints, timing yourself, and receiving the solution by email. What’s particularly cool is that as you hover over the boxes, a pop-up window shows you what the clues for the Across and Down words are. That way you don’t have to look back and forth. Discovery Education’s Puzzlemaker allows you to make your own crossword puzzles to be printed. I have done this many times with young people, and it’s very easy to accomplish. Type in a title, hints and solutions, click a button, and the program makes the puzzle for you. You can then print it from that screen or save the crossword as a picture to be uploaded elsewhere. EclipseCrossword is free software you can download to create your own crossword puzzles. These crosswords can be printed or saved as an interactive web page. For the interactive puzzle, readers click a word, a clue appears, and they can type in an answer or request the solution. It’s very easy to input words and clues, and you can save your word list to edit later and change the puzzle. 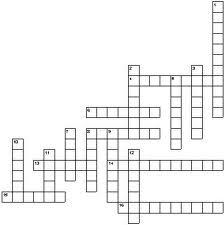 Do you enjoy doing crossword puzzles? What are your favorite word play activities? Do you have any crossword resources to add? There is a great documentary film, I believe it’s called “Word Play,” about members of the crossword puzzle association who are attending a convention. It also goes into how the NYT crossword is put together. Fascinating stuff (to word lovers!). I have never been really good at crossword puzzles, usually because I don’t know the pop culture references–lines from movies, songs, etc. Though I should give it a try again, I wonder now that I’m older if they’ll be references I remember? My parents do them all the time. Those sites where you can make your own sound fun. Some of those culture references throw me too, Erin! I bet you would be better at them now. Plus, that’s what I like about the online puzzles letting you get a hint if needed. I think there are more literature references than pop culture ones in the puzzles I’ve done. Thanks for sharing the online crossword puzzles. I haven’t done a crossword in years. I don’t like doing them on paper because I always ending up getting one wrong and making a big furry mess of the puzzle. Drawing a crossword out is a pain – although I used to do that for my kids in church to keep them occupied. I’d pull out a piece of paper, think of a few words, draw boxes, and write hints. It’s SO much easier for the software to do it for you, though. Thanks so much for this, Julie. I have worked on crossword puzzles in the past but found them either too difficult or too easy. And I’ve never done one online. I had no idea. My sister just told me the other day about a Scrabble-like game I can play with her on Facebook. I love Scrabble and words, so I’m going to try one of your links. If that game is Words with Friends, I love it! I’m a big Scrabble fan too. I have definitely enjoyed the online crosswords more than the paper ones. Thanks, Patti! THAT’S IT, Julie. Thanks for reminding me. This is awesome information, Julie. I love crossword puzzles and never thought to try them online. Thanks, PJ! I really enjoy the interactive quality of online puzzles. Thanks for these links. I haven’t done a crossword in a long time, and they are fun. I’ve never thought about doing them online. Stacy, I much prefer the online puzzles. No writing in, erasing, redoing, or keeping up with crossword books. Enjoy! Thanks for the resource, Rhonda! I wasn’t aware of the Yahoo Games one. Here it is for those who want it: http://games.yahoo.com/daily-games/dailycrosswords. I totally agree about keeping your brain active. Also, I can do a puzzle in 10-15 minutes, so it’s a nice break but not too much (like Angry Birds can become). Crosswords have been a favorite of mine since I first learned to write words. Thank you for this post! You’re welcome, Lydia! Thanks for stopping by. Your Mom here. I know you remember very well your Granddad doing crossword puzzles. He loved words (you obviously got that gene! ), and accordingly, he loved the challenge of a good crossword. In his retirement years, those puzzles not only gave him joy, but I’m convinced that they absolutely kept his mind sharp, and they were one of the reasons he continued learning as long as he lived. SO GLAD to see you passing on information about this wonderful way to use part of a day! Between my grandfather’s love of crosswords and my grandmother’s love of Scrabble, is it any wonder that a love of words has been passed down to me?! I definitely think these games kept your parents’ mind sharp. I do recall Grandpa Simmons working crossword in that comfy chair by the fireplace. . . . Now if only I had gotten any of his drawing skills! I guess they bypassed me and went to my son. Thanks, Mom. 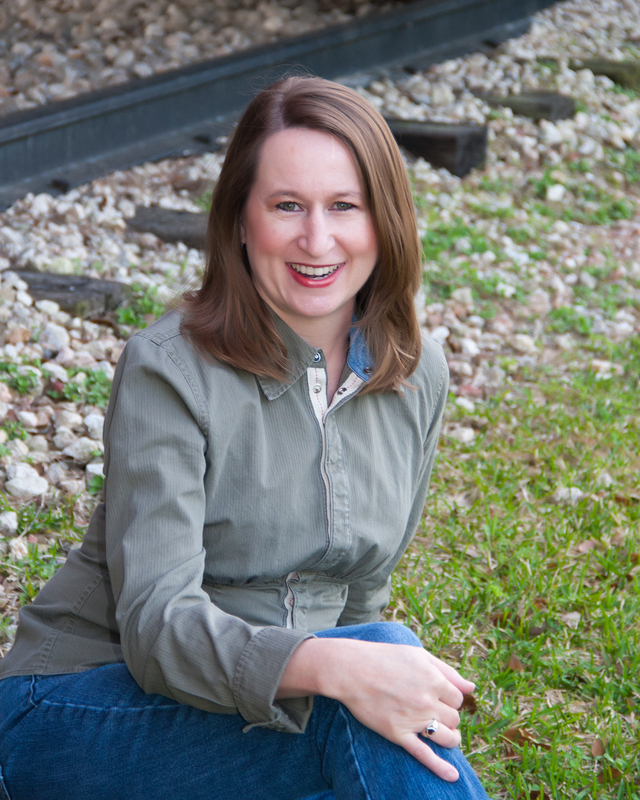 Always like it when you stop by my blog. I’m not a good enough speller nor does my brain seem to retrieve info in a functional way for cross word puzzles, but when ever I see them I’m tempted, maybe I should try some of the simple ones. Alica, my two cents of advice: Use the hint function. Don’t be shy about it at first. I started out getting hints for several words, and after a while, I simply got much better at solving puzzles and didn’t need to do that. I also like that if I start to misspell something (as we all do from time to time), the letters show up a different color so I know something’s not right and can correct it. Julie, I don’t ever start my writing day without completing the USA Today crossword puzzle. I think 7 mintues is my personal best! I’ve always wondered how somebody goes about creating a crossword, and thanks to the links you’ve listed, I’m going to give it a try! (Like I need something else to divert my writing time!) But what fun! Thanks for the info on other word puzzle links, too! I really want to get involved with crosswords, but never find the time. I believe in keeping one’s mind sharp, and working any sort of puzzle is an excellent exercise. Over the holidays, I did become addicted to Words with Friends and WordFeud on my phone. I’ve been actively playing multiple games a day with my guy, brother, and sister-in-law. Checking the game to see whether or not it’s my turn has given me a nice break throughout the day, and not a break where I feel like I’m wasting away. The documentary is called “Wordplay” from 2006 – available on Netflix. I love crossword puzzles! I used to play the Yahoo Games ones regularly before I got sucked into time management games. Thanks for the reminder!